Take your two large zucchini and either cut them very thin on a mandolin slice lengthwise or with a knife no more than 1/8th inch thick. In a separate mixing bowl, combine ricotta and Parmesan cheese while adding a little salt and pepper to taste. Mix well to combine. 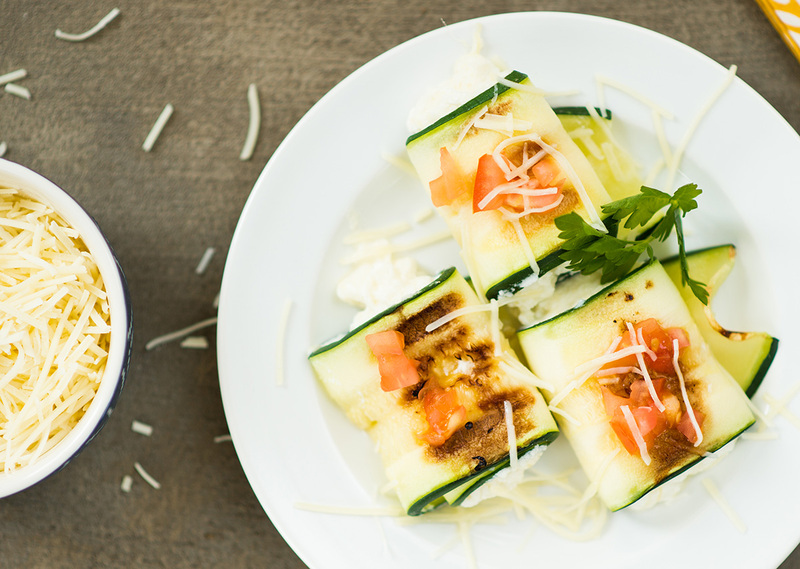 Take the mixture and place into the middle of the zucchini strips. Roll up one end to make a tight roll. 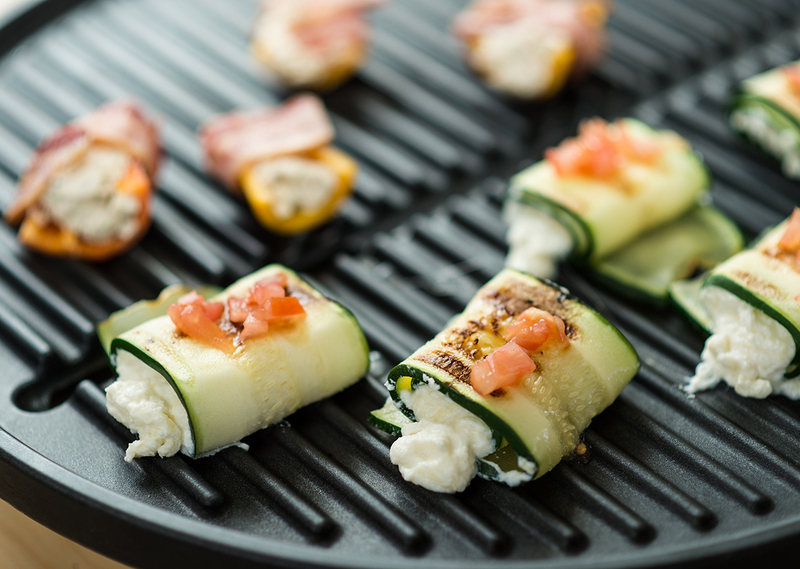 Preheat your George Foreman grill to 400°. Place cannellini on the grill having brushed them with olive oil, and allow to cook for 5 minutes. 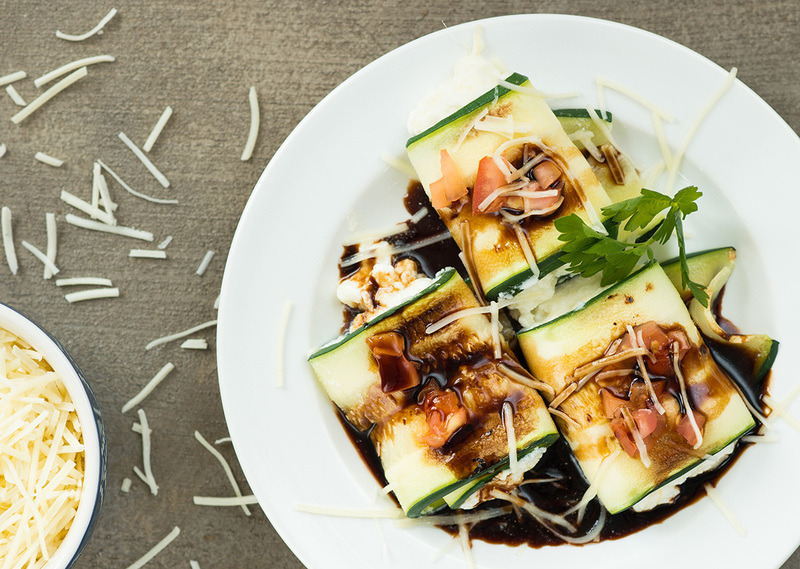 Remove from grill and place on a plate, then drizzle with balsamic vinegar and enjoy!